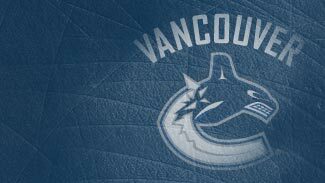 All the pieces are in place for the Vancouver Canucks to capture their third Northwest Division title in four years. Some of those pieces are obvious. The retention of the Sedin twins. The "lifetime" contract extension for goaltender Robert Luongo, the face of the franchise. And some good old-fashioned motivation after their second-round ouster by the Chicago Blackhawks last spring. Some of the pieces, though, are not so obvious, yet wonderfully compelling. And who knows? They may end up being integral pieces to the Stanley Cup puzzle that the Canucks haven't solved in nearly four decades. There's rookie Sergei Shirokov, the International Man of Mystery. There's that instant Swedish seamlessness. There's the defensive cup that runneth over. Then there's coach Alain Vigneault -- who's on the verge of signing a three-year contract extension after winning the Jack Adams Trophy, surviving a disastrous follow-up campaign, then helping to develop the likes of Ryan Kesler and Alex Burrows into core players while winning another division title. "He's a players' coach," Burrows said. "You don't take anything for granted, because he knows how to push the right buttons and get guys fired up." Henrik and Daniel Sedin enter their ninth NHL seasons as two of the most creative, dynamic players in the game. And this season, they'll have a couple options out of the box when it comes to a first-line playmate. One of them is Burrows, a checking-line catalyst who discovered some up-tempo chemistry with the Sedins last winter, notching 17 of his 28 goals while aligned with the twins. But another is fellow Swede Mikael Samuelsson, a Stanley Cup winner who moved over from Detroit via free agency and was a linemate of the Sedins at the 2006 Torino Olympics and the 2004 world championship. Samuelsson is "more Canadian than Swedish," Daniel said during training camp. "He's tough to play against, and gets under your skin and can frustrate you because he's so strong." • Young forwards like Steve Bernier, Kyle Wellwood, Mason Raymond and highly touted first-round draft pick Cody Hodgson look like they're ready to contribute. "As far as I'm concerned, I haven't earned a spot here, and I'm out to do that," Raymond said. "I have to earn my spot, earn my ice time. This job is not secure, especially not for me." • It's often true that teams need to lose before they can win -- and the Canucks haven't forgotten what happened last May during their second-round playoff exit against the Chicago Blackhawks. They're determined to make amends for that collective meltdown. "There's a lot of bitterness in the way things ended," fourth-line center Ryan Johnson said. "Guys really feel like we left something on the table." • The Canucks kept their three most important players, inking the Sedin twins to five-year deals and Luongo to a 12-year pact that will keep him a Canuck for life. Retaining Luongo, who would have been entering the last year of his contract, was vital. GM Mike Gillis "told me he wants to build a championship team, and that's the only thing he wants," Luongo said. "I'm the same type of person." Pavol Demitra, the club's second-line right-wing, won't be back in the lineup until mid-October while he recovers from off-season shoulder surgery. That opens up some opportunities for numerous players alongside center/winger Ryan Kesler. Enter two members of that aforementioned svelte trio -- Kyle Wellwood, who's dropped 17 pounds, and Steve Bernier, who's lost 15 pounds (defenseman Shane O'Brien is packing 20 less pounds). Bernier is ready to bounce back after a frustrating season during which his finishing touch escaped him. And Wellwood, who wasn't known for his physique, has come to camp chiseled, and noticeably quicker on the ice. "If I said no, I'd be lying," Vigneault said when asked if he was surprised at the change in Wellwood. "I think probably for the first time in his life . . . he is in real good shape. Until that happens to a professional player, you don't know the limits. I think now we're going to find out." Rounding out the top 12 forwards -- all on one-way deals -- are the offensively minded Mason Raymond, agitator Darcy Hordichuk, scrapper Rick Rypien and journeyman center Ryan Johnson, who ran his first marathon in honor of his late father Jim at Duluth, Minn., in June, breaking the four-hour barrier. Raymond now tips the Toledos at 187 pounds with more muscle on his once-skinny frame, and hopes to solidify his roster spot after an up-and-down season with the Canucks. Meanwhile, Canucks draftees and farmhands Jannik Hansen, Michael Grabner, Cody Hodgson and Sergei Shirokov will battle for the two final forward spots while Demitra is on the shelf. Hodgson, already considered the odds-on favorite to win this year's Calder Trophy by The Hockey News, will be given every opportunity to stick with the big club, since his alternative is going back to the major junior Brampton Battalion. But the dark horse who's really staked a claim for a long-shot roster spot is Shirokov, who left $500,000 on the table in Russia's Kontinental Hockey League to sign a two-way deal with Vancouver. The 23-year-old Muscovite, a 163rd-overall pick of the Canucks, was a relative unknown, having spent the past four seasons with Moscow Red Army. "Every time he steps on the ice, there have been moments where he really caught our attention," praised Vigneault. "He's really upbeat, with a lot of energy." Unfortunately for the young Russian, a knee injury incurred Sept. 18 at San Jose, which was expected to keep him out a week, could very well kibosh his chances. The Canucks are in an enviable position at the back end. They head into the 2009-10 season with one of the deepest defensive corps in the league, with more mobility, experience, velocity and beef than at any time in recent years, and they've also got 10 players on one-way contracts battling for seven roster spots. That crowded house was created at the end of August when, in one fell swoop, Vancouver picked up Christian Ehrhoff and Brad Lukowich from San Jose (in a trade made by the Sharks to clear salary-cap space for Dany Heatley) and inked veteran free agent Mathieu Schneider to a one-year, $1.55M deal. I've got a feeling this year is gonna be a good, good year for the Canucks. Roberto Luongo poses challenges for opponents and ensures that the Canucks have a chance to win each and every game. Having that type of player in the goaltending position is a significant advantage for Vancouver. Daniel and Henrik Sedin are two of the very best players in the NHL. They excel in all aspects of the game and anybody who questions their abilities to win should question only themselves because they have dispelled this myth. Ryan Kesler is a heart and soul player and watch for a breakout year from Alexander Edler. The elements of a championship team are in place. Let the games begin. * Sami Salo, who possesses tactical savvy and one of the league's biggest bombs from the blue line, but has been dogged by recent injury problems. * Kevin Bieksa, a rugged, defensively aware big-minute eater with a big point shot and a penchant for dropping the gloves. * Willie Mitchell, the club's surprisingly mobile shutdown ace. * Steady youngster Alexander Edler, who shows defensive responsibility and offensive potential. * Smooth-skating, puck-carrying German native Ehrhoff, with an offensive flair and an ability to log big minutes. * And Schneider, 40, a power-play specialist and another great point-shot artist who adds an offensive dimension. From here, it gets interesting. Purely based on experience, Shane O'Brien and Lukowich would appear to be in a battle for the No. 7 spot on the roster. O'Brien is in the best shape of his life; Lukowich, a two-time Stanley Cup winner, has played 711 career NHL games. The Canucks -- who had $59.65 million committed to their players heading into training camp, nearly $3M over the $56.8M-per-club ceiling -- may be forced to make decisions based on the salary cap, and nowhere are those decisions more obvious than on the blue line. The ninth and 10th players on the Vancouver depth chart, Aaron Rome and Lawrence Nycholat, are also on one-way contracts, and draw $525,000 and $500,000 this season, respectively. While O'Brien ($1.6M) and Lukowich ($1.567) both boast more NHL seasoning, the Canucks may decide it's not worth spending an extra million on a seventh defenseman -- meaning one, or both could get traded or waived. Vigneault has said the Canucks will carry eight defensemen into the season, with Schneider most likely on the injured list to start the season, recovering from off-season shoulder surgery. "It's a salary cap era," said O'Brien. "If you do get a little bit of a pay raise and things happen where they can't slide you under, the next thing you know you're on waivers." Observed Lukowich: "It's the new NHL. We're not used to that. They're not used to that. Nobody is. But for the general manager and coaches and the organization, what better way is there to have it, to have guys fighting for it?" After locking up the Sedin twins with the help of a red-eye flight to Sweden, Canucks General Manager Mike Gillis pulled another rabbit out of his hat by locking up Luongo to a 12-year, $64M "lifetime" deal. While Vancouver is sold on Luongo, one of the top goalies in the game, Gillis also said there was another factor at play. "In my mind, the defining feature of doing a contract at this length was the fact he plays goal," Gillis said. "We saw two 40-year-old goalies playing in the league this year. Dominik Hasek was a dominant goalie late into his 30s and early 40s ... there's a lot of precedents at this position. "We didn't have any of the discomfort we might have had with a skating defenseman or forward." Battling for the right to back up "Bobby Lu" are two men taking decidedly different career paths. Cory Schneider was the American Hockey League's goalie of the year in 2008-09 and led the Manitoba Moose to the Calder Cup final. "My goal has been to make this team the entire summer," said the 23-year-old from Marblehead, Mass. Meanwhile, Andrew Raycroft, a former Calder Trophy winner, is just hoping to catch on to his fourth NHL team in five years. A former starter in Boston and Toronto, Raycroft has almost become an afterthought, and will have to work hard to outduel Schneider for the No. 2 job.